Reishi Mushrooms. You have probably heard them being touted as a great medicinal mushroom and a wonderful healer. Well, I’m not going to tell you anything different. Reishi is kind of a big deal. Reishi is known as Ling Zhi, which means “spirit plant” or “tree of life mushroom” in Chinese spoken word, and the Chinese characters literally translate to “shaman praying for rain.” Those names should give you an idea of how truly powerful the reishi mushroom is. It was seen as such an important herb in ancient times that it can be found in art depicting Emperors and on temple walls in the hands of the gods and goddesses of old. Reishi grows on decaying hardwood deciduous trees and is native to China. It’s pretty rare to find them in the wild, so people have taken to cultivating these magical friends. It comes in a whole variety of colors, but the red one is considered the most medicinal of them all. What Does Reishi Mushroom Do For Us? Reishi is considered a three vital tonic. That means that it helps protect and build the Jing, raises the Qi, and deeply supports the Shen of our personal energies. These three aspects of our energy are the keys to life. The Jing is the energy that we’re born with and the energy that we lose when we’re dying. The Qi takes care of the Jing and keeps it safe from the difficulties that we deal with in his life. The Shen is representative of the larger self and spiritual journey. Wow! No wonder our red mushroom friend is such a big deal. It’s anti-inflammatory, a heart and liver protective tonic, and a super antioxidant. Long term use of reishi is considered to promote longevity and keep a person’s agility intact into the later parts of life. Because they have lots of bioavailable polysaccharides in them, Reishi mushrooms are great for immunity. Polysaccharides are long-chain sugar molecules that help function as building blocks for our bodies and serve as an energy reserve. 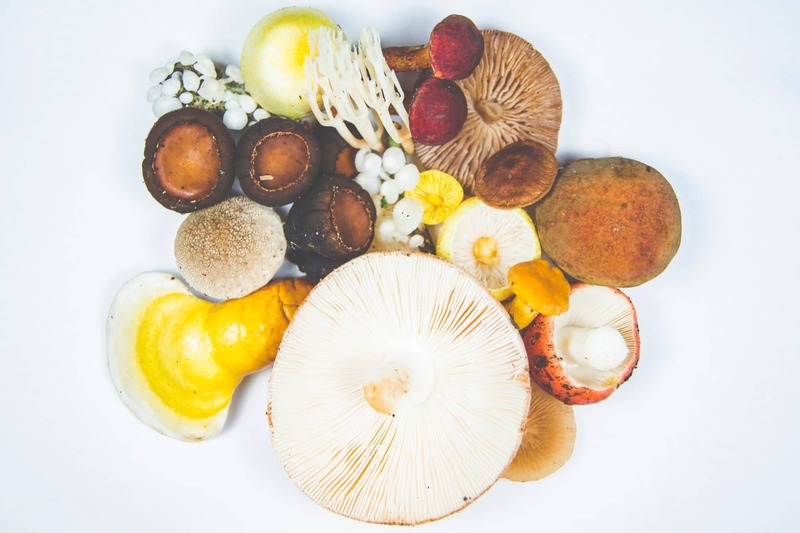 Studies have shown that the polysaccharides in the reishi help build the immune system by activating our immune cells (T-lymphocytes) and increasing phagocytosis, a process where good cells in our body engulf pathogens that could make us sick. It also helps increase immune response and causes non-specific activation of the system under attack. Just to add a little bit of the “spirit plant” back into to all this science, that means that the reishi knows what part of your body is being affected, gets in there, brings reinforcements, heals your soldier cells and gives energy to your depleted system. I don't know about you, but that's the type of support we want. All of this basically means that reishi builds and protects our immune systems with one hand tied behind its back (er.. mycelium?). Reishi isn’t delicious. 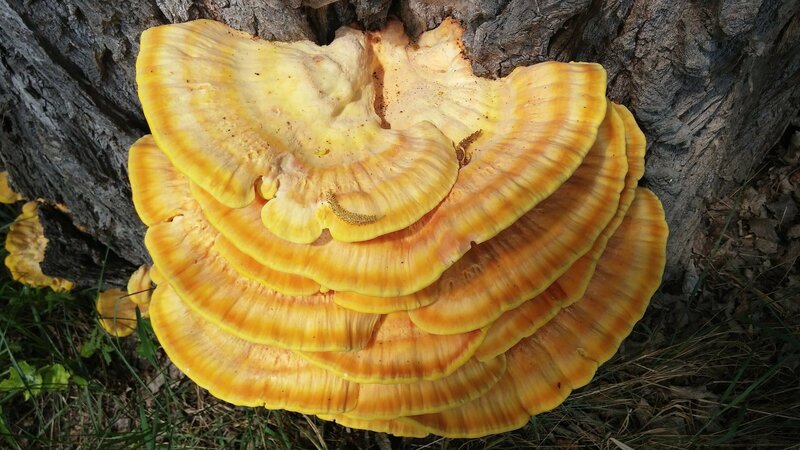 While it is technically an edible mushroom, it’s almost impossible to eat because it’s tough like leathery wood. Don’t buy the whole mushroom unless you’re using it for decoration or you have some serious grinding tools. I actually broke a coffee grinder and a pair of scissors trying to cut up a whole mushroom for medicine – that’s a personal problem, I know, but it’s good for you to know so that you don’t make the same mistake. Reishi slices on the other hand make beautiful medicine, and you can snap them apart with your bare hands. Traditionally, reishi is used in tea or in tincture. I personally tincture it but a tea is perfectly fine too. The taste is very bitter and a lot like a common mushroom. Take 1-2 large reishi slices and put them in about a quart of water on the stove. You can add other herbs too if you want; licorice root is great because it adds a sweet note to the bitterness. You can let it boil for a very long time, just make sure to add more water as it evaporates off. You can also do this in a crockpot on high for a few hours and it works wonderfully. Strain it off and drink it when it’s cool! You need to extract reishi in two different ways. It’s just so special that you need two different methods to pull out all of the bioavailable love. Traditionally, this is an alcohol extraction and a hot water extraction. I know this is a little advanced, but (at risk of being cheesy) if it’s worth doing, it’s worth doing right! Fill a pint or a quart mason jar with broken or ground reishi. Pour 2-3 cups of the highest proof of alcohol over it that you have (whiskey or vodka is fine) and set it somewhere out of the way. Let it sit for at least two weeks, shake it and give it love energy everyday. Strain out your tincture and set the alcohol aside – DON’T THROW IT OUT, THIS IS YOUR TINCTURE! Put the reishi mark (that’s what you have left over from the alcohol extraction) into a pot of water and boil it. It’s like making a tea, but you want the water to evaporate off this time. I start with about a quart of water and boil it down to about a cup but it can be up to 2 cups. Strain the water into the jar that you want your tincture to stay in and compost the reishi (don’t forget to say thank you to your spent herb!). what are the solid forms in my tincture? If you see little solids form in your reishi when you combine the alcohol and water that’s okay. Those little guys are the polysaccharides reacting with the alcohol. Just shake it before you use it and you’ll still get all the benefits that reishi will give you! Voila! A beautiful reishi tincture that will last forever! You can take a dropperful of this guy daily. It’s not an immediate fix to sickness because it’s not fast acting. This is something that you take small amounts of everyday and it helps you to not get sick in the first place (and it works!). Do you use reishi? Share your experience in the comments! Rogers, R. (2011). The fungal pharmacy: The complete guide to medicinal mushrooms and lichens of North America. Berkeley, Calif.: North Atlantic Books. I have started consuming reishi extract in the tea form for curing migraine headache. what if you have fresh reishi in golden grain for over 9 months? can this tinc still be made? Reishi does much more than prevent illness.Loved your recipe and article.Treating Lyme with it.I feel much better since taking this mushroom. Hi. I didn’t crush or chop my mushrooms. They have been in vodka for a few weeks now. Do you think it will extract even though I didn’t break it down first? I have one growing on my maple tree. It’s the first time. Thanks for the info. When it’s ripe I plan on harvesting it. Firstly thanks so much for sharing your knowledge Annmarie. My wife and I found a bunch of wild Reishi mushrooms and we’ve been researching how to make tincture. Here’s our dilema? I have read in a couple of articles and you mention the same, the Polysaccharides in the Reishi are damaged by alcohol, you mention in excess of 40%? But all articles say to use 60% or higher for best results to extract the other medicinal compounds. Does this not render the mark useless after the alcohol treatment since the water simmering is specifically for extracting the Polysaccharides. I have about half of what we found soaking in 63% alcohol, so that batch we’ll decoct by simmering in water after about 4 weeks in the alcohol. I’m wondering if it’s best to not expose the 2nd half to alcohol, but rather only simmer it in water and mix the alcohol extract and the water only extract. Will this separated process produce a better quality, more potent tincture? Thank you for this information, I think reishi mushrooms are very healthy. I found a local gentleman that cultures and grows many species of fungus and sells them at one of our farmer’s markets here in the Phoenix area. I got both reishi and lion’s mane and made tinctures of each. Thank you for the instructions, I didn’t know to boil the strained mushroom “mark” to extract additional goodness! Thank you for this information. I had heard of reishi mushrooms but had never heard the explanation . Thank you for the learning experience. It’s priceless. I bought mine at Mountain Rose Herbs online. ‘Real Mushrooms’ (this is the Brand name) are a very good quality source and can be purchased on Amazon. Thank you for the instructions. I ,also, am not sure where to purchase these mushrooms. I also think they are beautiful, and was interested inlearnin to grow them in my flower beds. I also would like to know where to buy Reishi mushrooms. None of the grocery stores here carry it and live in a fairly large city. Thanks for any info you can give me. You might be able to find some in a local coop or a health food store. Thank you for this information. I had heard of reishi mushrooms but had never heard the explanation of Jing, Qi and Shen. Thank you for the learning experience. It’s priceless. Where do you buy Reishi mushrooms. I can’t seem to find it in any of the grocery stores.